Today the Peace Research Institute Oslo (PRIO) is holding a seminar titled Decolonizing the Academy. Our aim is for this seminar to start a national discussion about the legacy of the colonial era in Norwegian academia – both in relation to its formal structures and the ways in which we as researchers conceptualize and categorize the world. The debate about the need to decolonize academia has raged internationally for several years. 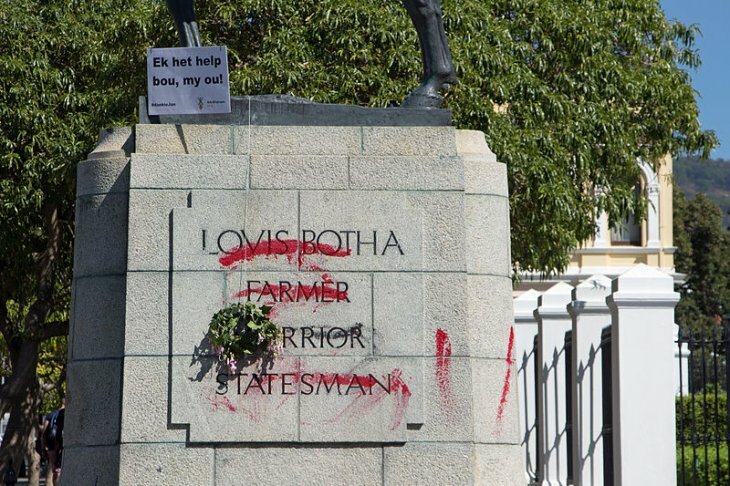 Student movements at the University of Cape Town and the University of Oxford, under the hashtag #RhodesMustFall, have used their demands for the removal of statues of the colonialist Cecil Rhodes from campuses as the pivot for a comprehensive critique of structural inequality and racism in the university system. A formal launch of this discussion in Norway is of the utmost necessity, and is already long overdue. The need for a formal process to decolonize academia derives from a simple truth, namely that many of the fundamental ideas of modern scholarship emerged in a very specific geographic area and at a very specific point in history: namely Europe in the 18th and 19th centuries. At that time, Europe had conquered most of the world’s land territory, and the development of modern scholarship, as we know it today, coincided with the expansionism of the colonial era; its systematic exploitation and extraction of resources; and its slave trade. As time went on, the concept also emerged of ‘the white man’s burden’: the obligation to civilize colonial peoples so that they would become real people, enlightened and civilized. The accumulation of enormous fortunes in French, Belgian and British port cities brought about a unique opportunity to develop European infrastructure and establish a modern educational system with schools and universities. The export of sugar, minerals and people from the East Coast of Africa, the Gulf of Aden and the large Bengali cities in India also liberated intellectual resources in Europe: with higher living standards came culture, scholarship and the intellectual energy to conceptualize the world. The formal process of decolonization that took place in the years following the end of World War II did much to discredit ideas about hierarchies of races and civilizations. Even so, the legacy of the colonial era continues to influence many aspects of academic work, through systematic biases in prescribed reading lists, teaching perspectives, and the authors cited in scholarly papers. A decolonized academia asks us also to look at university infrastructure. As a starting point, what types of students, from what backgrounds, go to university? Which students are awarded research fellowships? And which research fellows ultimately get tenure? What Which issues get research funding? And which issues always have to be studied on the margins of academia? As sociologists, we can see in our own field the obvious legacy of the colonial era: although we no longer describe the countries and peoples of the Global South as backward, much of the thinking in the field of development studies is still based on the idea that they are underdeveloped. What other assumptions about these parts of the world accompany such characterizations? Today there is a global division of intellectual labour, whereby Western academia is often the centre for theorizing, while the so-called Global South provides the empirical material on which Western theorizing is based. Accordingly, the decolonization of academia raises a question mark about perspective : how does the fact that most of the world is interpreted from universities and research institutes physically located in the Global North affect our scholarly point of view, the way in which we as academics portray the world? Which perspectives, explanatory models and interpretative frameworks become dominant, and which are erased and made irrelevant? Without systematic attempts to decolonize academia, we will miss out on important perspectives, something that may result in the research we are doing today, the findings we are making, the conclusions we are drawing – about the causes of conflict, the relationship between inequality and war, and the factors that create social exclusion and outsiderness – quite simply being incorrect. We are not interested in erasing Western scholarship or concepts of knowledge. On the contrary, we are advocates of more critical readings, analyses and contextualizations of the Western scholarly canon. We must understand this canon as situated, as a product of specific places and experiences, and as providing effective categories that continue to form the reality we live in. Similarly, we are also not interested in romanticizing so-called non-Western ‘voices’ or perspectives. Decolonized sociology is about a critical investigation of the cultural and historical assumptions that form the basis of modern scholarship, and how marginalized perspectives can contribute to improving academic knowledge. In recent years, feminist perspectives have achieved increased influence, and there is growing acceptance that patriarchal structures and heteronormativity affect the way in which knowledge is generated. In the same way, irreversible climate change is increasingly being understood as a phenomenon that in a fundamental way is enveloping, and permeating, social interaction in a globalized world. The legacy of the colonial era in academia has to be understood in a similar manner, and must be confronted both by complementing existing perspectives with non-Western analytical and interpretative models, but also, and more fundamentally, by in productive ways countering sociology’s fundamentally Eurocentric components and hypotheses.